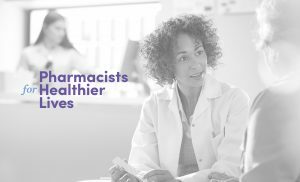 ARLINGTON, Va. – Pharmacists for Healthier Lives — a coalition of pharmacy organizations seeking to raise the profile of pharmacy as an essential healthcare profession — announced Friday that four state pharmacy associations have joined the campaign. The Nebraska Pharmacists Association, the Iowa Pharmacy Association, the Illinois Pharmacists Association, and the Indiana Pharmacists are now partners in the coalition. These newly added state associations, along with current state association member, the Georgia Pharmacy Association, will participate in the coalition’s ongoing public awareness campaign aimed at educating consumers and policymakers about the invaluable contributions pharmacists make in medication management, improving patient outcomes and to our nation’s healthcare system as a whole. These state pharmacy associations join the coalition’s growing number of national pharmacy organizations in this effort, including: the American Society of Health-System Pharmacists, the Academy of Managed Care Pharmacy, the Accreditation Council for Pharmacy Education, the National Alliance of State Pharmacy Associations, and PrescribeWellness. For more information about the campaign, visit www.PharmacistsForHealthiesLives.org.